Ingredients: Water, carbon powder, hyaluronic acid, glycyrrhizic acid, dipotassium, niacinamide, carbomer,triethanolamine, vitamin E, glycol, phenoxyethanol, essence. Funcation: Penetration is very stronger,absorb pore blackheads and dirt,convergence pores,effectively improve the rough skin quality,regulating oil secretion,maintain the damaged skin. 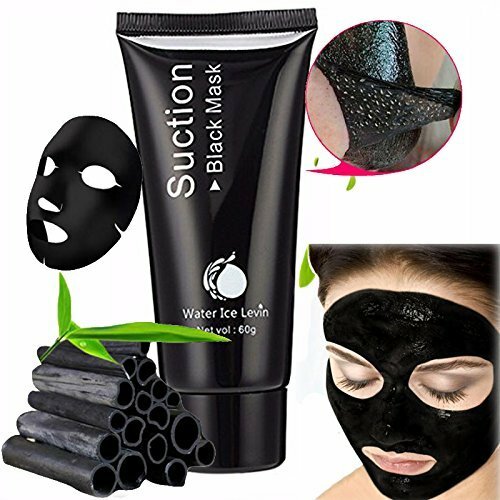 Cool and refreshing and comfortable,helps to reduce acne and prevent acne,make the skin more luster. Fit for people: Due in part because skin caused by acne, acne. Oily skin strawberry nose. Nose large pores blackheads. Long-term use of the computer, watching television Attention: Product is not suitable for sensitive skin and recommended that customers use the item on the hands or ears then to use on the face.If there is any discomfort, stop using.